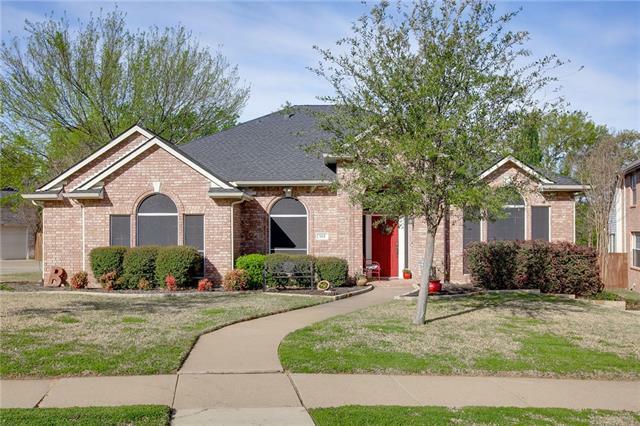 All Briarhill Estates 3 homes currently listed for sale in Highland Village as of 04/21/2019 are shown below. You can change the search criteria at any time by pressing the 'Change Search' button below. "Welcome home to this amazing one story home with swimming pool! This home has been updated throughout! Gorgeous wood floors. Fireplace redone with beautiful large stones & wood mantel. Front living can be a formal dining room. Office or den with double doors leading into this room. Master suite is separate from other bedrooms. Kitchen with large eating area, island, pot rack, granite ctr tops, & outstanding breakfast bar. Backyard is a entertaining delight. Private with greenbelt & walking"